Recently picked up a Dennerle Scraper's Tank. I've had it set up for a couple of months now, and thought I'd give my initial impressions. For starters, they make this and a "scraper's tank". As far as I can tell, these are identical except for packaging, and I'm not sure why they decided to make both. But onto my unboxing, set-up, and thoughts. It came very well boxed up, looking like a much larger tank size than a 10. I can't seem to upload pictures and them stay in order or where I want them, so I will do this photo per post. Sorry if that makes for a lesser read, but this forum software isn't like most Vbulletin and such I'm familiar with. 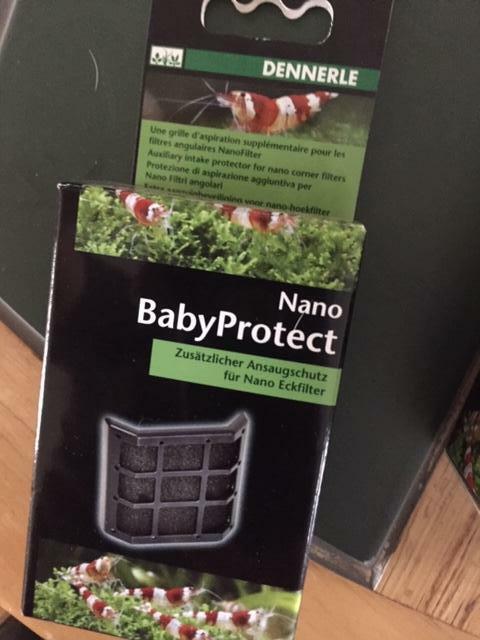 Bump: So, I'm at a loss as to how to post these pictures in order with the text I'm submitting. It keeps just adding to my original post. Maybe I'll try to finish after a reply. Apologies. Bump: I can't even use Imgur or Tinypic to embed. If anyone wants to PM me the correct route to do this, happy to go on with my review. Otherwise, I'm afraid I give up. What site is hosting your images? Blue Ridge Reef likes this. ^In most forums I've been on, that would post the host image. Here it seems to leave a blank. Sorry it's not working, haven't had these issues before. I think I discovered the problem. The images were shared publicly and thus couldn't be edited. I had uploaded them at original file size and that was taking up 4 screens. Have re-uploaded them smaller and trying now. The light is quite small, but very bright. Much in the style of Finnex, but I will say that upon a peek inside Dennerle does a much better job soldering. 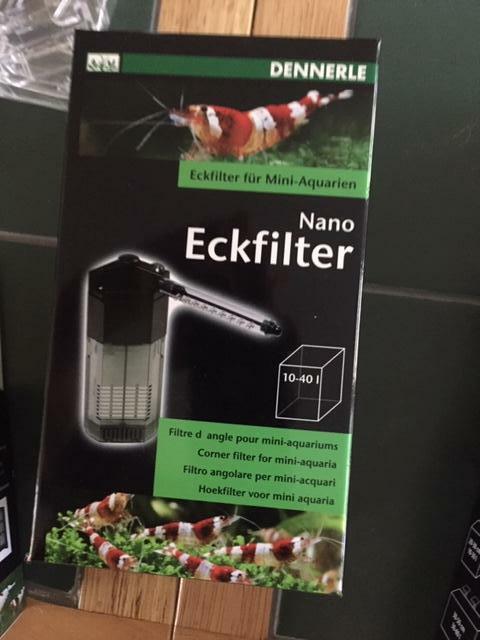 The internal filter is also very compact and moves quite a bit of water. 90% chance I move to a regular sponge filter on this but it's a good design. The tank itself is my favorite part of this kit. The low iron glass, bent corners and rimless design just appeals to my eye, I know it doesn't for everyone's. 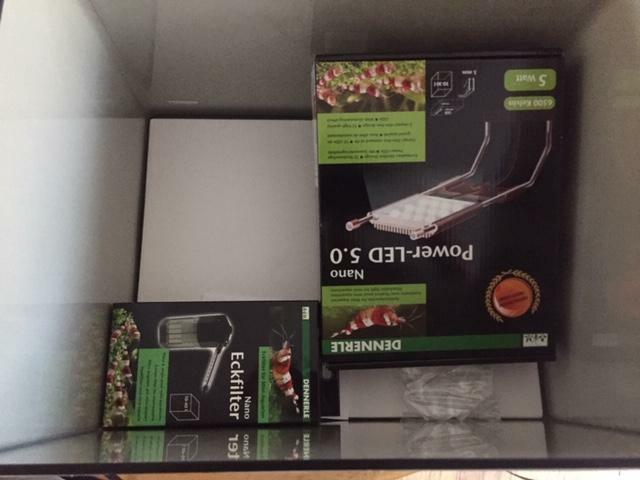 I will likely change out the lights and am certainly changing out the filter, and do not use the glass top, so I can far from call this a perfect shrimp kit *for me*. 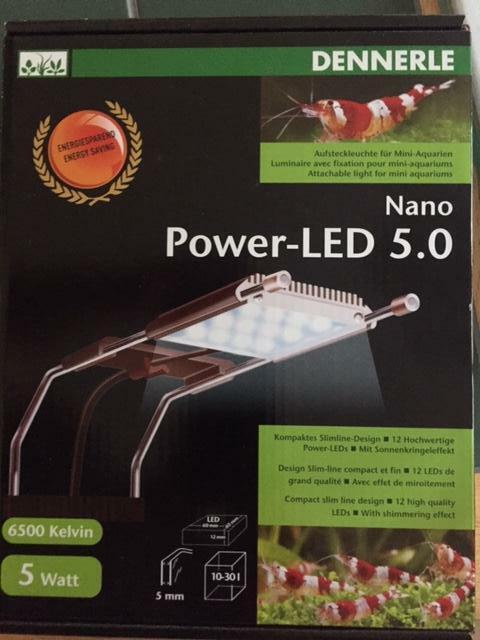 But I'm not sure I wouldn't pay $200 bucks for this tank and light. I will have lots of uses for the light and I suspect the filter will come in handy also. 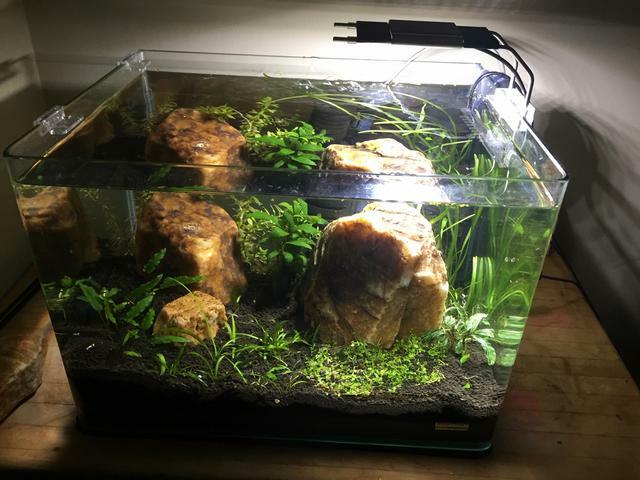 It would probably be perfect for someone starting out to have success, just not how I best keep plants and shrimp. Did a fishless cycle and moved a sponge filer from a healthy Cardina tank for 7 weeks before adding livestock. 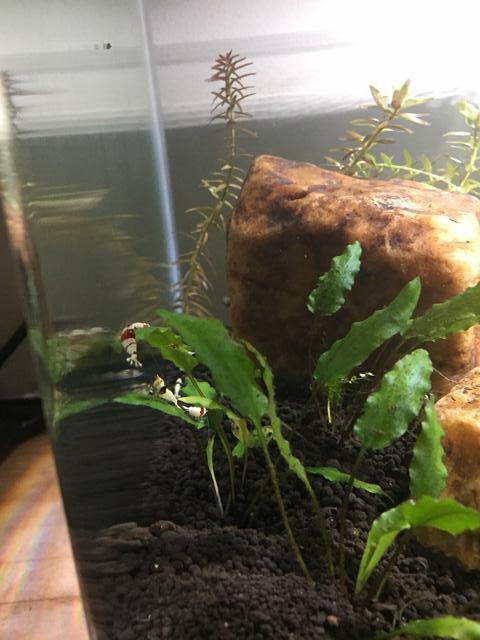 Gave a few crystals reds the tank for a week before ordering, then bought user ChefB0yardee (sp?) 10 pack of mischling shrimp as the first full time inhabitants.